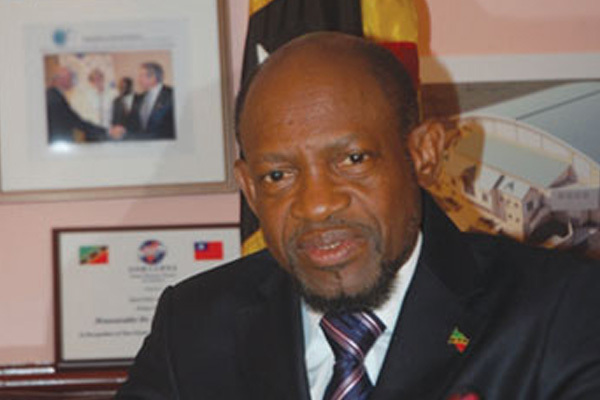 Basseterre, St. Kitts (CUOPM) — St. Kitts and Nevis’ Prime Minister and Minister of Finance, the Right Hon. Dr. Denzil L. Douglas, who led a Commonwealth High-level Mission on Debt and Financing Challenges of Small States in discussions with the heads of the International Monetary Fund, The World Bank and Inter-American Development Bank late last year, is in St. Lucia to attend the Third Global Biennial Small States Conference. The Conference on Wednesday 26th March provides a platform for small states to share experiences and good practices, find ways to build sustainable economic growth and identify areas for support from development partners. St. Kitts and Nevis is among 31 small states within the Commonwealth which is committed to ensuring that international attention is paid to the special development challenges faced by these countries. This year’s conference is centered on the theme of ‘Building Resilience in Small States’ and will include sessions on economic aspects of resilience; debt and resilience in small states; governance aspects of resilience building; environmental management in the context of resilience building; and social cohesion. The event being co-hosted by the Government of St Lucia and the London-based Commonwealth Secretariat is attended by ministers, senior government officials from small states within the Commonwealth and beyond, representatives from regional and international organisations, as well as global experts on sustainable development issues. 2014 has been designated by the international community as the International Year of Small Island Developing States. World Bank President Dr Jim Yong Kim has welcomed and promised to follow up a Commonwealth proposal for addressing the debt and financing challenges of small states. Speaking during the Small States Forum in Washington DC on 12 October 2013, Dr Kim said he was pleased with the ideas contained in the proposal by the Commonwealth High-level Mission on Debt and Financing Challenges of Small States that was presented to the heads of the International Monetary Fund, The World Bank and Inter-American Development Bank on 7 October 2013. “Thank you for these very useful ideas,” the World Bank President said while responding to a briefing on the highlights of the proposal by St. Kitts and Nevis’ Prime Minister the Right Hon. Dr.Denzil Douglas, who led the Commonwealth high-level team. The group also included the Minister of Finance of Jamaica, the Hon. Dr. Peter Philips; Minister of Finance of Samoa the Hon. Faumuina Luiga; Minister of Finance of Seychelles, the Hon. Pierre Laporte; and the Minister of Finance of Tonga, Hon. Lisiate ‘Aloveita ‘Akolo. Commonwealth Secretary-General His Excellency Kamalesh Sharma was also part of the group.